When a snapback enters your life, you know that you can travel anywhere in the company of a loyal companion of adventures. The cap with the visor, icon of the hip hop culture, has the noble origins in sports, but also an irresistible and transversal charm that continues to stimulate the creativity of the designers and to affect an audience in constant increase. The road travelled by the most versatile cap on planet is long and marked by important milestones: debuted on the diamond worn by baseball players and becomes a identifier sign for the fans who follow their basketball or hockey teams. 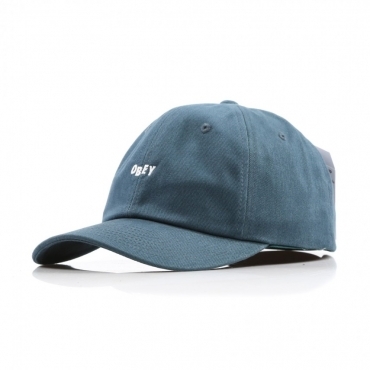 But it’s also a cult accessory for rapper and skater. The adaptability and sympathy of this item inspired the creativity of the best sports brands and emerging stylists genetically linked to the streetstyle. We find it once again in the ready-to-wear fashion shows in glam version, directed at a universal target. Convenience is highlighted by the dome, or crown, divided into panels, from the flat visor and from closing. The fabrics are essentially cotton and canvas, wool, mesh and other synthetic. The adjustable cap is a metropolitan myth! If to see outfit composed of Snapback with the official logo of a sports club, jeans, hoody and sneakers is normal when they are matched to chino or trousers, pullover, blazer and laced, then the matter is serious! The latest trends of smart casual and urban style, in fact, have eliminated the generational barriers and expanded the boundaries of the dress code: t-shirts and shirt button down, cargo pants or slim fit approach freely to a little hat selected according of the form, to the extraordinary street art fantasies and kaleidoscopic colors! We advise you to choose between models with reinforced dome and foldable ones according to your needs. You can store safely in your pocket or backpack the cap with deconstructed crown and it will never crumple.